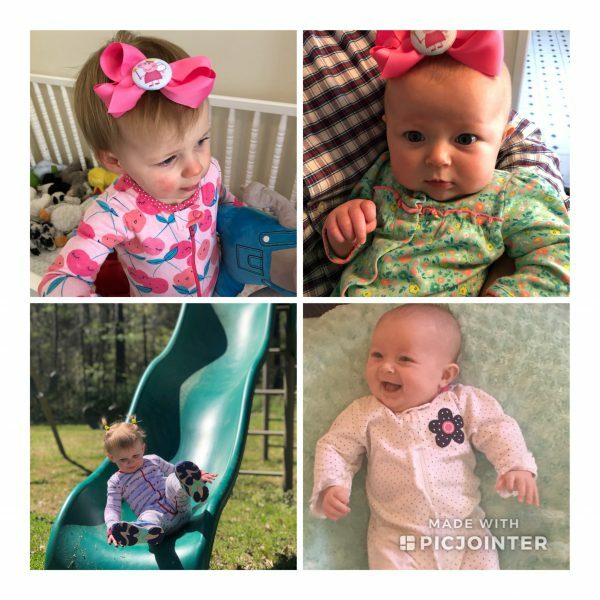 Being with my daughter Kara and granddaughters Virginia Rose and Helen the past couple weeks in Mississippi was pure bliss. The girls are beyond sweet and it was torture to leave them. I miss them more than I can say. Virginia Rose loved her new Peppa Pig hair bow and even shared it with Helen. This one little short block is like going back in time. The buildings haven’t changed including the Capri, an adorable old movie theater. The block is still so intact in its retro look, that parts of the movie “The Help” were filmed here. 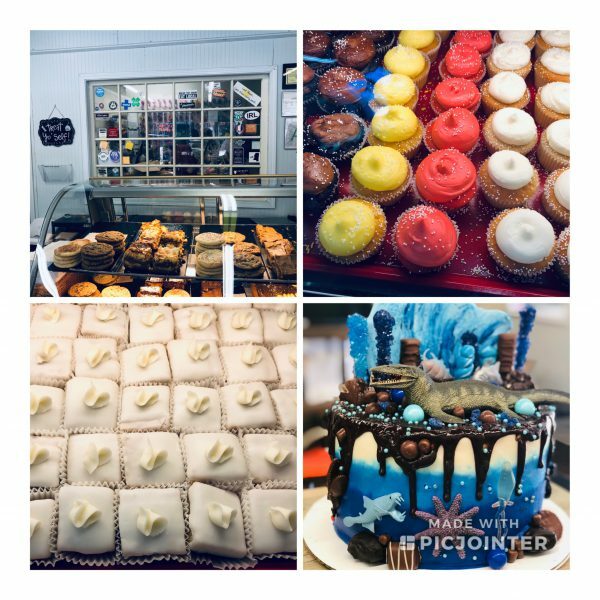 Of course, we couldn’t resist stepping into award-winning Campbell’s Bakery to see what was on the menu for the day. 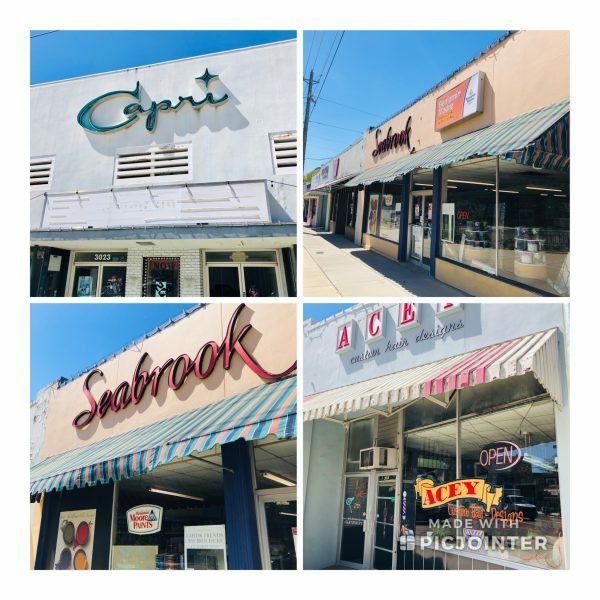 Campbell’s Bakery is the oldest in Jackson, started in 1962 and still using those original recipes. The interior is adorable. The staff let us take a photo of the wall of cookie cutters! Some of the items of the day. That cake was huge! 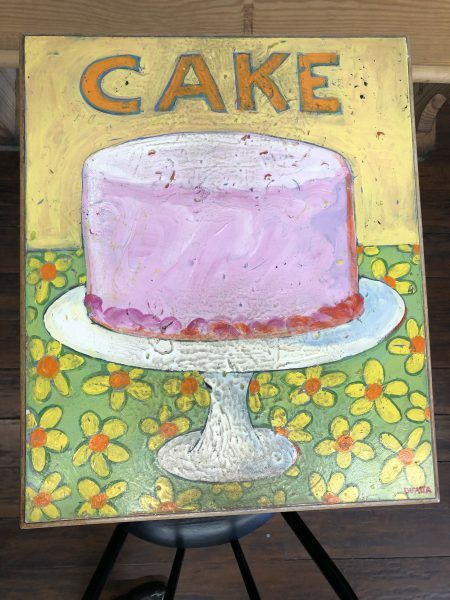 This cake painting is not on a wall, it’s a tabletop! There were several others just as adorable. Campbell’s is famous for its frosted tea cookies. 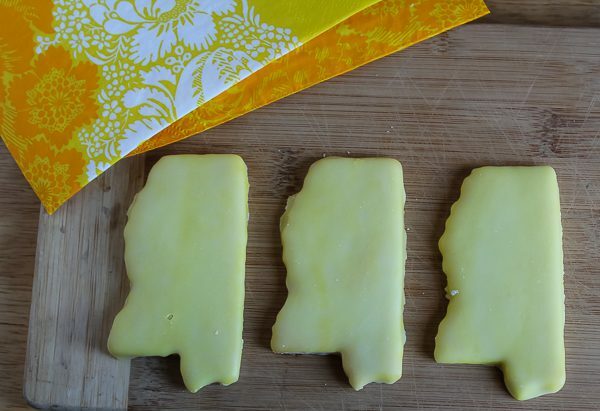 I had to buy the Mississippi-shaped ones to take home to my husband Bill. He loved them! It’s one of their original recipes and so good. 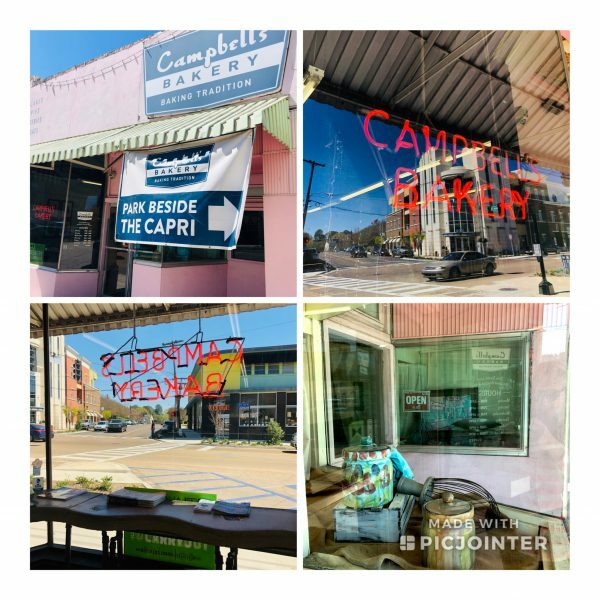 If you are ever in Jackson, check out Campbell’s. 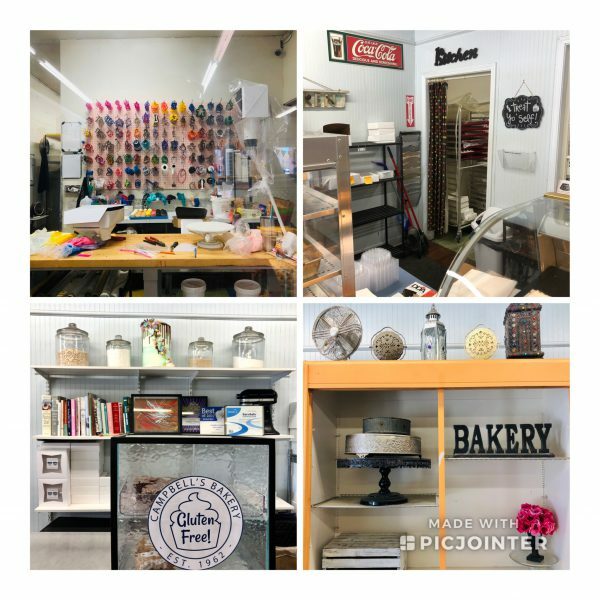 You might even get a free Mississippi cookie if it’s your first visit there! Thank you for sharing! I’m impressed with the shaped tea cookies in the design of the state! They are adorable and taste great! Love those adorable granddaughters. They are so precious. And that Fondren District is delightful. Hope you and Kara were able to procure some 60’s outfits as you stepped back in time! 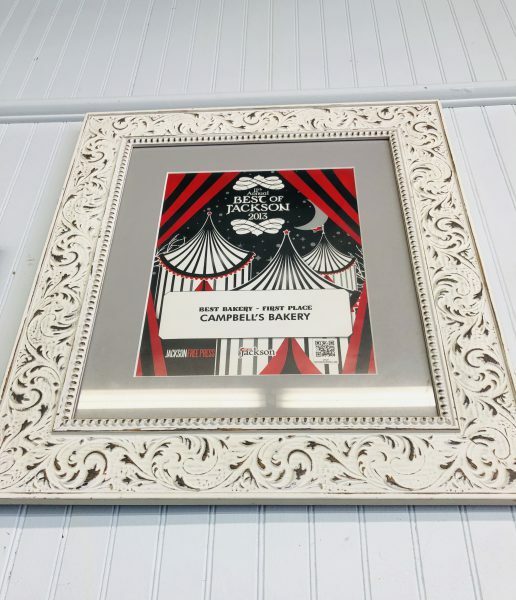 That Campbell’s Bakery does looks like a fabulous place to visit and purchase some delicious treats. Another fun spot to put on my bucket list of places to see. Fashion from the ’60’s definitely popped in my head just walking around that adorable area!